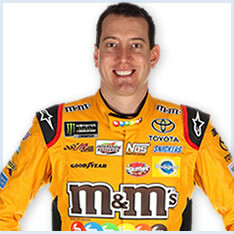 View complete Kyle Busch career statistics on the Kyle Busch driver page. Read more about NASCAR Track Types. NASCAR split stats data by driver is aggregated by track and track type for a specific time period. Get a snapshot summary of NASCAR statistics for each driver by simply selecting the driver and the time-period you want the statistic for. Data included in split stats is the number of races, poles, wins, top-5, top-10, top-15 and top-20 finishes along with percentages. Number of Did not finish (DNF). As well as, average start, average finish positions and average Driver Rating. Want to get an overview for a NASCAR driver from a selected period of time? Split stats is a great way to pick drivers for fantasy NASCAR games that make you choose one driver per race all-season long. You can sort the split stats table by any column to identify the specific tracks each driver does best at.